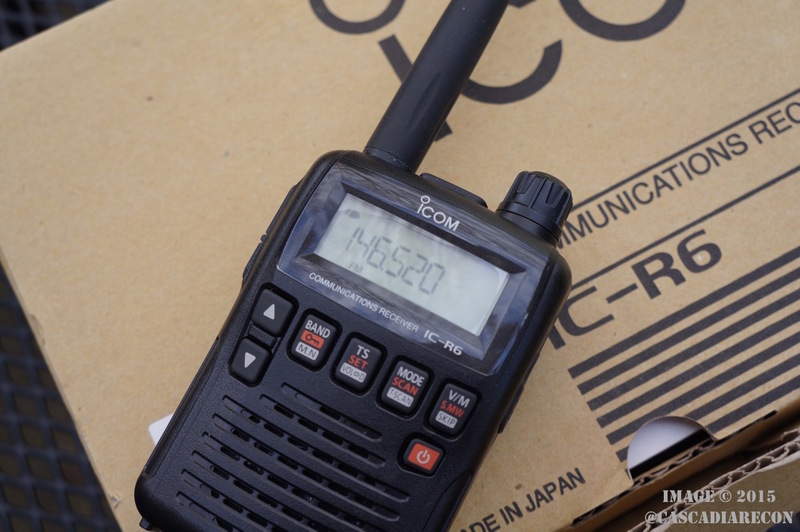 The Icom R6 (aka IC-R6) is a tiny so-called “DC to daylight” radio receiver that is barely larger than a deck of cards. 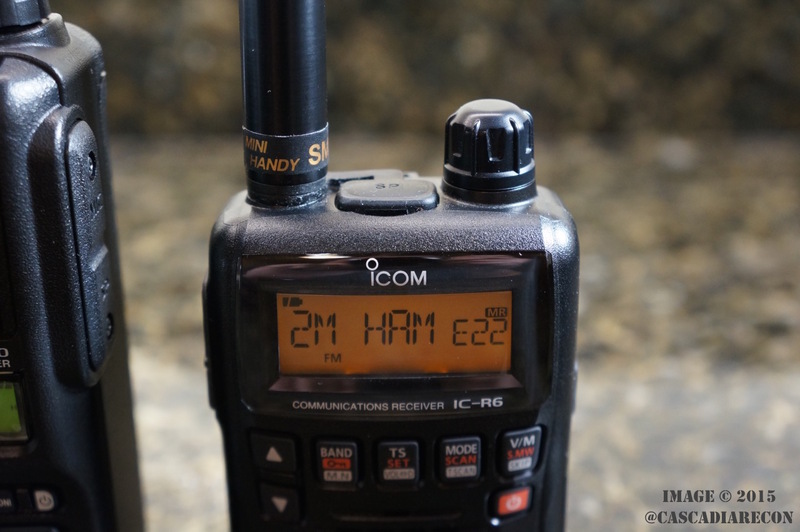 It makes a great emergency radio to listen in to public safety, ham radio, businesses, weather forecasts, maritime traffic, and even civil & military aviation. Not to mention it picks up shortwave broadcast, AM & FM broadcast, and analog T.V. channels (being quickly phased out). Predecessor versions included the R2 and the R5. FYI — what this radio will not pick up is important to consider depending on your area before shelling out the greenbacks. Digital transmissions are becoming more and more the norm, especially for public safety agencies. So are trunked radio systems (both analog and digital) that utilize multiple frequencies and quickly switch between them to accommodate many users. An excellent reference for this information is the www.radioreference.com website. The radio is controlled using the front keys (no numeric keypad) and the dial on top. The backlit display is limited to six (6) alpha-numeric characters that you program in by hand. There is computer programming software choices from both Icom as well as Butel, and you will need a specialized cable. The software itself will not run on Mac products (unless you have Windows installed). Using the included stock whip antenna you can expect to receive local VHF/UHF signals pretty well. However, trying to receive anything in the lower bands (such as shortwave broadcast or VHF low-band) with it is going to be nearly impossible with only the stock antenna. Ideally you want a short run of wire that is a few feet long. Anything longer and the radio will likely be overloaded. You can power the radio using two (2) AA batteries, whether alkaline, NiMH rechargeable, or lithium. I have had great battery life using a set of Sanyo’s Eneloop cells. There is also a power-saving circuit than can be enabled in the menus, as well as an auto-off feature. The built-in speaker is capable of about 150 mW output; enough to hear inside, but not driving down the road with the windows open. There is an earphone port on top, but it provides only mono output (you can pickup a mono-stereo adapter plug at places like Radio Shack). Since it uses an SMA connector for the antenna, you have many choices with aftermarket antennas. Some good stores to window shop on the ‘net (or in person) include, in no particular order: Ham Radio Outlet, Amateur Electronic Supply, Scanner Master, and Universal Radio. The R6 is an excellent little radio, especially for EDC or your emergency kit. Because it sips power from a pair of AA batteries, you can literally listen for hours upon hours. With a solid build quality it should last for many years.